As a teenager I never saw myself as much of a “girls girl” often feeling out of the pack, but as I’ve grown older and thrown myself into the blogging world, I’ve come to realise that there is nothing better than surrounding yourself with wonderful, like minded women. With a friendship group of strong amazing women, comes a pack of incredible talents, minds, shoulders to cry on, points of view and endless laughter. I mean, who else will take 100 photos of you on your iPhone, just to get the right angle at your new favourite coffee shop, or tell you that you look incred on those days that often leave you feeling like a potato. With today marking Galentines, I feel like it gives the perfect opportunity to show the number one girls in your life just how much they mean and how thankful you are for all that they do. So in honour of those special gals in your life, here’s a few ways to show them any day of the year just how much they mean to you. Whether this means inviting them round to watch a movie and getting a surprise dominos delivered (basically my favourite kind of night FYI) or making them a self care parcel full of all their favourite beauty goodies, we all know how lovely it is to receive a special surprise we weren’t expecting. Have a favourite place you like to visit, or fancy a trip to the spa? Why not make this an excuse to take some downtime with your besties and make a day of it. If you’re strapped for cash, why not head to the countryside for a nice long walk, or head to the beach and share a portion of chips at the pier. 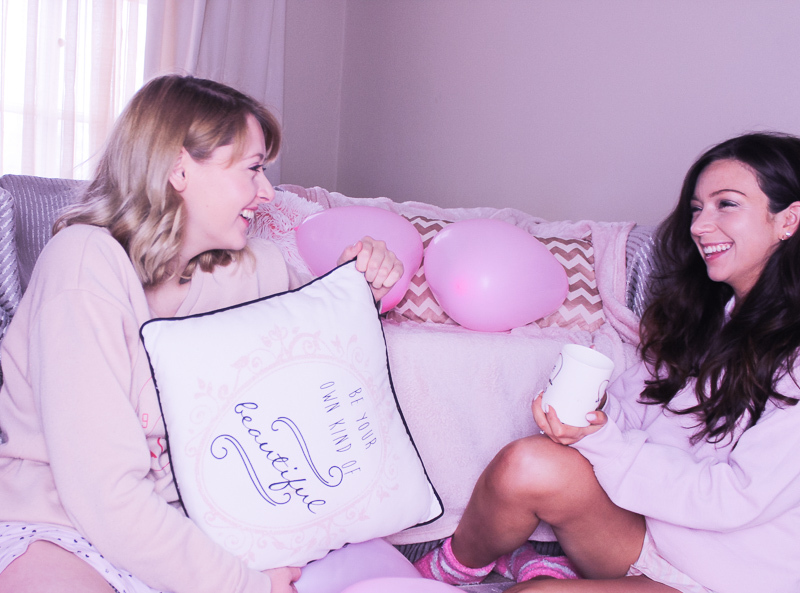 Whether thats offering to be your blogger pals human tripod, or helping them decorate a room in their new house, sometimes nothing is more valuable to a friend, than time. Just knowing you’re there to lend a hand should they need it, offers the perfect foundation to any great friendship. With most of us communicating daily via the WhatsApp group and wrapped up on twitter, theres something so incredibly personal and touching about a hand written letter. Put pen to paper and tell your friend about all the reasons why you think they’re great, or write down one of your favourite memories together. When all else fails, sometimes just picking up the phone, or typing out a quick message to let someone know you’re thinking of them is all you need.